I confess this is one out of my collection! 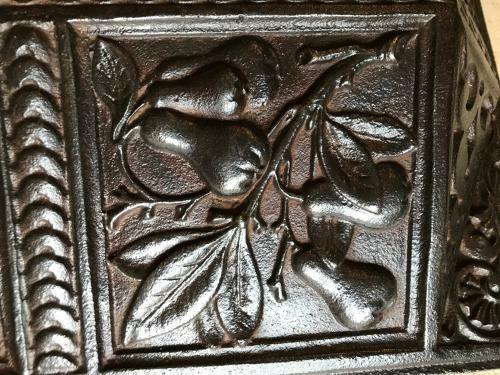 Victorian Cast Iron Fireplace Hood with exceptional casting depicting pears on a tree. I was originally going to make it into the top of a shelf unit but actually think if it went upside down on a kitchen wall it would be ideal to store newspapers or bills etc. Could be ideal as such in a cafe or restaurant. Registered date mark on back.